You can spend a ton of time on Alex Onsager's amusing Pokemon fusion website, trying out as many Frankenstein combinations as you can think of. Or, if you'd like, you can take a look at the work of Redditor B_Stiles, who took the liberty of making every single combination possible for you. If that sounds like a lot of Pokemon, it is. "I used a simple Perl script to pull all the images down from the site, then used a small Java program to combine the images for each Pokemon," B_Stiles explains in this Reddit thread. "At first I tried to combine all of them into one giant image, but even after shrinking the individual images down to something manageable (since the original sizes created an image so large I didn't have enough memory to create it), the final image is almost 40 MB, so I went with this method instead." You can view the fusions at this link; here's a small taste of all the possible combinations. 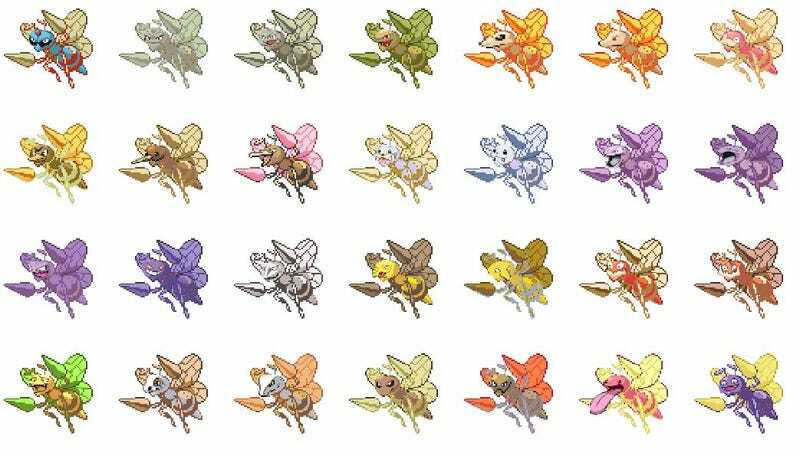 Note that Onsager isn't done uploading all the Pokemon into his program, so this collection is all Pokemon fusions possible as of this writing.